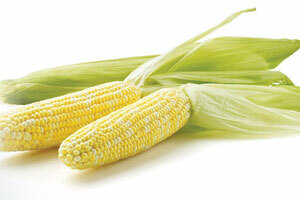 It's hard to make fresh sweet corn taste any better, but a slash of light cream does it by adding a nutty flavour. The peppers, onions and sage turn it into a perfect side dish to serve with meat or poultry. In large nonstick skillet, heat butter over medium-high heat. Add onion; stir-fry for 2 to 3 minutes or until softened. Add corn and red pepper; cook, stirring frequently, for 8 to 10 minutes or until lightly browned. Stir in green onion, sage, cream, salt and pepper; cook until heated through, about 2 minutes. Serve warm.